Value priced, easy to use, very powerful. "Hint" and "Undo" for beginners. 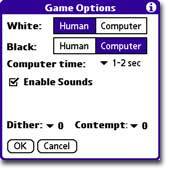 GNU-based engine will satisfy experienced players. All the features game players demand, at the price you've come to expect: zero. 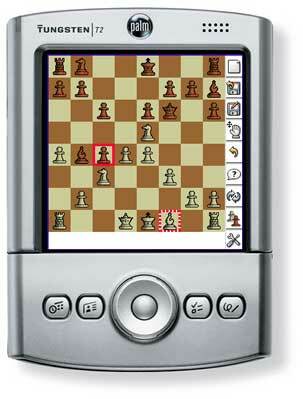 ONE-STOP CHESS is the best value in Palm chess. 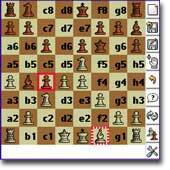 Rich array of features for beginners and experts alike.